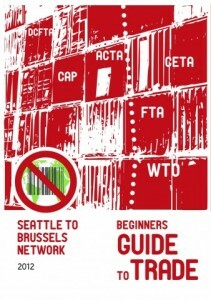 The Seattle to Brussels Network developed this Trade Reader as a beginners guide to the EU trade and investment policy. It is written in English and translations are being finalised in French. Some of the key articles have been also translated into Arabic, in order to raise awareness of the EU policy in Arab and Mediterranean Countries, especially after the EU launched its Deep and Comprehensive Free Trade Agreements with Egypt, Jordan, Morocco and Tunisia. 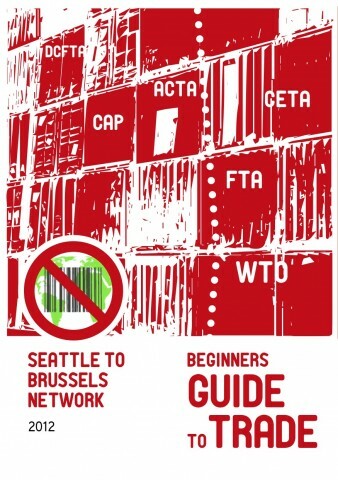 Download the beginners’ guide to trade.